Achieve levels up to 50, and get up to 6 specializations! You can now reach level 50 with this mod. It modifies the exptable.gda and properties.gda files, so it may not work with other mods that use the same files. 1. You get 25 tactics slots immediately. 2. 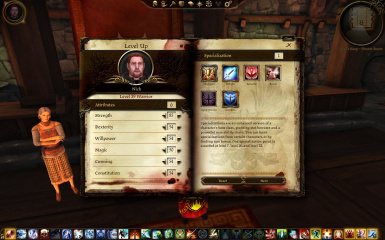 Several attribute maximums have been increased, to allow for the full benefits of going to level 50. For example, the maximum Physical and Mental resistance values can now exceed 100. Update: Replaced the original Level50 files with ones that completely overrides exptable and properties. Use this version to make it work with Awakenings. If you need to update, the easiest way is just rename the original versions of the files from exptable_50.gda and properties_50.gda to exptable.gda and properties.gda.